This Subject or That Subject? Which Is Important? Bookshops were very familiar places for Minnie. Her mother dragged her to them all the time. There was no way for her to get lost when she knew exactly where she was going in Jaded Pages. How many times had Maman brought her here over the years? Far too many was the answer. On the bright side it did mean Maman trusted her to go find her own books. Minnie knew her mother would also be looking around for her own new purchases. This was going to be a looooooong wait once Minnie collected everything she needed. She soon enough did have everything and was now seated in a nearby chair to wait for Maman to come over. In the meantime Minnie began leafing through the different text books. She wrinkled her nose at some and looked closer at the others. "I think that Transfiguration is a silly thing to need," she declared to anyone who might care to listen. "Why do you need to change something like that?" She pointed her finger at the very first exercise she supposed she would have to do once classes began. "There's a spell to light fires so we don't need matches and what would I want a needle for?" I just get someone else to sew my buttons on my clothes needed one replaced." She wasn't quite sure when they would learn how to create a fire charm but she was very sure a match wasn't needed for anything amongst wizards. Re: This Subject or That Subject? Which Is Important? Madi was almost done shopping with her mother. All she had left were robes and books, then she had to meet her aunt and Minnie. She was growing bored by shopping, however. She wished she were older so she could go alone with Minnie, but she knew she'd get lost. And being lost was a terrible thing. She was allowed to get things on her own for this shop. Or maybe that's just what her mother told her, because that is when the eleven-year-old saw her older cousin sitting in a chair. Madeline rushed over and sat on the arm of it. "Hi, Minnie!" she shouted, loud enough to get a look from her mother from across the store. She was a little too excited for this day. Maybe too excited for Beauxbatons. "Hm... I don't know what any of that means. Is Transfiguration a subject?" she asked, lowering her voice to a polite, mother-approved level. "But you can't start a magic fire in front of a Muggle. Maybe you could sneak to another room, make a match, then come back," she answered, after thinking carefully for a moment. "And one day, Grand-mere and your maman won't be around to sew your buttons back onto your clothes and you'll have to do it alone, Minnie." Madi looked back over toward the door. Her mother had disappeared, but she suddenly remembered what she was there for. "Minnie, will you help me find my books?" she asked. "My maman probably found yours and they'll probably talk forever." "Madi," Minnie called back. She ignored the look her aunt was shooting their way and was glad Maman didn't see the books fall from her lap when she jumped up off her seat. She was a bit funny about the way books were treated. Minnie laughed as she sat back down again. "Didn't you read your book list at all? It's a subject we have to take along with ..." She picked up her books and showed each one as she spoke, "...potions, Defence Against the Dark Arts, Herbology, Astronomy...stupid star gazing...History of Magic...that'll be dead boring...and Charms. I think I missed one." Some of the books looked like they now had their pages bent but it wasn't like Minnie wasn't going to purchase them. Well Maman that is. She growled at her cousin's point. "But if I'm never amongst muggles then I won't ever need a match will I?" That was it. 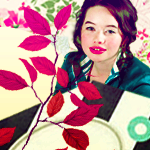 She was never ever going to go out amongst muggles again, not even if Maman wanted to go out in one of those places. Minnie double growled about the buttons. "Then if I lose a button I'll throw that item out." Now that she thought about it that'd be annoying if her favourite shirt was the thing with a button missing. "Isn't there a charm for sewing buttons back on for you? There has to be something otherwise what's the point of magic?" Minnie looked around and found that both mothers had disappeared. "You're right. I bet Maman is probably telling yours what books she should read too." She lifted up all her text books. "You'll have to carry yours when we find them though. These are heavy enough as it is." Madi shrugged. "Not really. We'll find out soon, though," she said. She wasn't too concerned about school. She was just along for the ride. "Oh! Flying! I know that one! Papa told me about it. Are we going to like it, Minnie?" Madi giggled. "But what if you fall in love with a Muggle? Then you can't scare him away with witch stuff! You hafta ease him into magic." The first year thought again. "There might be. Maybe they are just teaching us easy magic first. Maybe a sewing charm is very hard to do." Madi hopped up from her chair. "Yes! Why are they always reading? Pictures are so much better!" she stated. "I will carry mine. What is first on the list? Astronomy?" she asked before skipping to the "A" section. Madi enjoyed skipping. It always made her dresses and hair bounce and she thought it made her look extra pretty. "What's the book called? Oooh! Look! A picture book!" she said distractedly. "The Americas," she read the title. She opened it up to see a picture of a coast. It was a beach with white rocks everywhere. "Neat!" she said, excitedly. "I've never seen a beach like this before! Look, Minnie! Oh wait. We have to get school books, that's right! What's the book again?" "Yes," Minnie said gleefully and clapped her hands. "That's it. Flying. Of course we'll like it. It'll be the best subject of all. I bet I'll be an even better flier than my father was. Quidditch player too." The fact that he had played at a professional level didn't bother her one bit. If there was one thing she hoped to have inherited it was his Quidditch ability. Nothing else. Just that. Another idea caught in her brain. "Madi you must try out for quidditch. Even if we are in different houses. It'd be so much fun." Minnie wrinkled her nose at the suggestion. "Yuck. Why would I want to do that? All men are horrible. They go and abandon..." She stopped and realised who she was talking to. "Well Uncle Benoit isn't horrible but lots are." She grumbled under her breath. "It's so unfair that we have to start up slowly. I want to know it all straight away. At least the stuff that's of use." And she still believed transfiguring a match into a needle was going to be utterly useless. "And they are easier. A book maman made me read said that a picture is worth a thousand words. See how much time you save with pictures?" There was also the most horrible book in the world which gave Minnie her embarrassing name, one which was going to be revealed to the entire population of Beauxbatons on the night of their sorting. Minnie shrugged at the book Madi showed her. She much preferred the beach near their grandfather's house than the one her cousin was showing. "Hurry up Madi. These books are heavy. Look. Up there is the book you need for Astronomy." She nodded with her head. "I think you should be able to reach it." Madi scrunched her nose. "But I don't want to go against you. I don't want to fight," she explained. Madi hated bickering. It seemed there were always arguments at her house. Sometimes it was easier to agree and go along with someone else than to fight over something. The eleven-year-old didn't reply to her cousin's men hating speech. She knew that Minnie didn't have good feelings toward her papa, but that was okay. Madi's mother had explained that there was no reason to try to change Minnie's mind and that she might change her mind one day on her own. "If we learned all the hard stuff in year one, what we do for six more?" Madi asked, putting the book in her hands into its proper spot on the shelf. She lifted her heels and reached her arm out and barely grasped the book her cousin had specified. "There! I can hold some of your books for you, if you want. What's the next book?" she questioned, shuffling down the aisle some. "Defense Against the Dark Arts?" She squinted at the book titles in the "D" section. "I wonder if they have dog picture books here. What is Defense Against the Dark Arts? I mean, I know what it means, but who does the dark arts?" Minnie shook her head at Madi. "It isn't fighting to play Quidditch against each other. That's sport. It's different." She decided to try a different tact. Anything to make her cousin join in the fun. "What if we ended up in the same house? Will you tryout then? We wouldn't be fighting at all would we? Of course you could always try to announce like Maman did." Minnie didn't like to hear about her mother's stories of her years at Beauxbatons because they always ended up with mentions of her father but she heard enough to know what activities her mother been involved in. "Um actual magic?" Minnie suggested. "How to control it and that sort of thing so we don't go out on a rampage and kill people." She knew magic could be dangerous in the wrong hands. Enough copies of the Wizarding World Weekly had passed through her hands for her to be well aware of that. They were thrilling stories but probably not good examples to follow. "You went past C." She put her head back to point behind her thanks to her arms being occupied with holding books. "You want dog picture books? I don't think they'd have those here unless it's about crups and stuff like that." What other dog like animals were around escaped Minnie in that moment. "Dark wizards do dark arts of course. That's why there're aurors. They catch them." Madi hesitated. She didn't know how she felt about quidditch. But if Minnie thought it'd be fun, it probably would be. And if they wouldn't fight, it couldn't be all bad. "Only if we're in the same house. And I have to learn it first," she finally answered, pulling the book she needed off the shelf. She decided it would be easier to look at the books Minnie was carrying than to ask her the titles. "Maybe it teaches us to be patient or to concentrate better," Madi suggested. "Your Charms book says 'spells' instead of Charms," she explained, rounding the corner they had come to. "Herbology sounds awful, doesn't it? I hate plants. Do you remember that terrible bush that Grand-mere had? I don't know what it did, but it was very ugly," she shivered at the memory. She wasn't looking forward to seeing those bushes again. She knew they'd haunt her. "Do you suppose they have nice plants? Like roses and daffodils and lilies?" "That's a waste," Madi commented. She'd only seen a dog once or twice in her life. They weren't as popular as kneazle-cats and crups, which, while cute, could be very mean to Muggles. Not that she had experienced it firsthand. Madi didn't actually know any non-magic folk. Everyone in her family was magical. She finally located the two books she needed. She pulled them both off the shelf and added them to the growing stack. She was glad she was almost done. Minnie had been right about everything being heavy. How was she going to manage carrying them throughout the castle, along with the other supplies she needed? "Do you want to rest for a moment, or to keep going?" Madi asked, knowing that she was taking a longer time than ideal for her cousin's strength. "I wasn't suggesting you play without knowing how first," Minnie protested. Though she actually had thought Madi did know how even if she'd never actually played herself. Minnie thought it would be dead easy and of course she was going to be a natural. How could she not be when it was in her genes? As hateful as the man who fathered her was she was not going to let him without that talent from her too. Minnie shrugged. "But I got it from the Charms section," she protested, "which starts with C. I can't help it if they put the same book in two different places." Though she didn't know if they had put it under S as well Madi seemed to think that was where it was. "Herbology is important because the plants are used for potion ingredients. Grand-mere says so and if she says so then it is important for us to learn." She wasn't sure which bush Madi was talking about but Minnie did remember one which often shivered like it was afraid of everything. "Come on Madi if they did have those then it would be gardening class and not herbology." Madi was confusing Minnie and she hated to be confused. "You don't make any sense," she declared. "Nothing's a waste." Well some subjects were. "Oh. I just remembered the other class. Music. Why do we have to learn music in a school of magic?" Now if something was a waste that was more than any of the other wasteful subjects they had to have. "Keep going," she decided. "Then we can rest. Maybe if these books make me stronger I should try out for beater instead of chaser." Not that she ever would. Her dream was to become a professional chaser and be more famous than Christian d'Angelo ever was. Who remembered him now? She bet if she ever mentioned her father's name at school she was going to be met with a lot of blank stares.